I can’t talk about this poster without mention this interview in which director Scott Frank talks about how he hates the trailer and the poster for the movie because they misrepresent the kind of movie this is. So that is a big problem with the poster right there. The poster in itself, when considered outside of the movie, is actually pretty nice. This kind of layout, with various boxes, each one containing one character, is pretty cliched. Especially when it comes to crime thrillers. But it works well enough here. Not a great or very original poster, but a solid, nice looking one. But misrepresenting what audiences will get one they actually go to the theater is a big, big sin. Bad Poster! 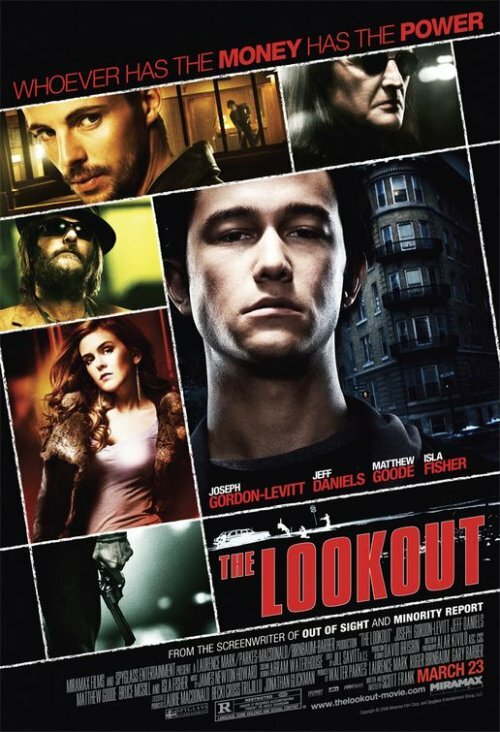 The Lookout opens this Friday.